Check out Tobi's Love Story Tube Flare Dress Capture romance in the Love Story Tube Flare Dress. 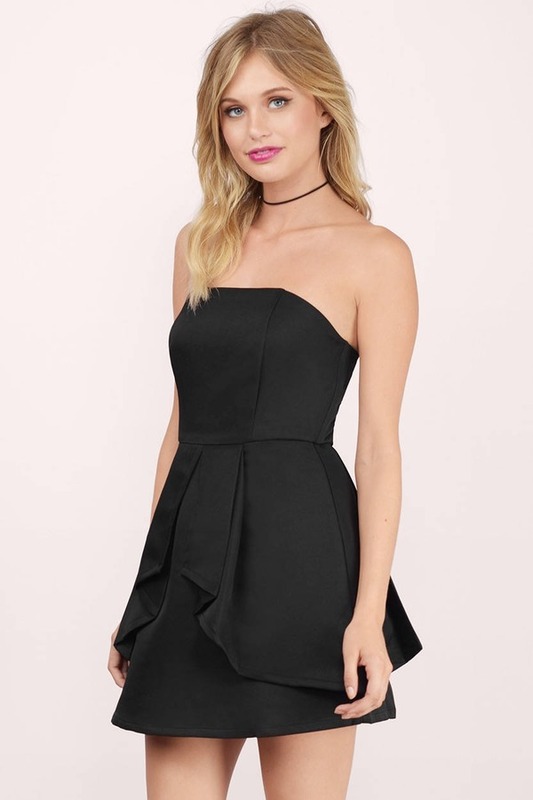 Strapless dress with a skater, flared skirt and peplum, pleated overlay. Wear with simple, pointed pumps. Capture romance in the Love Story Tube Flare Dress. 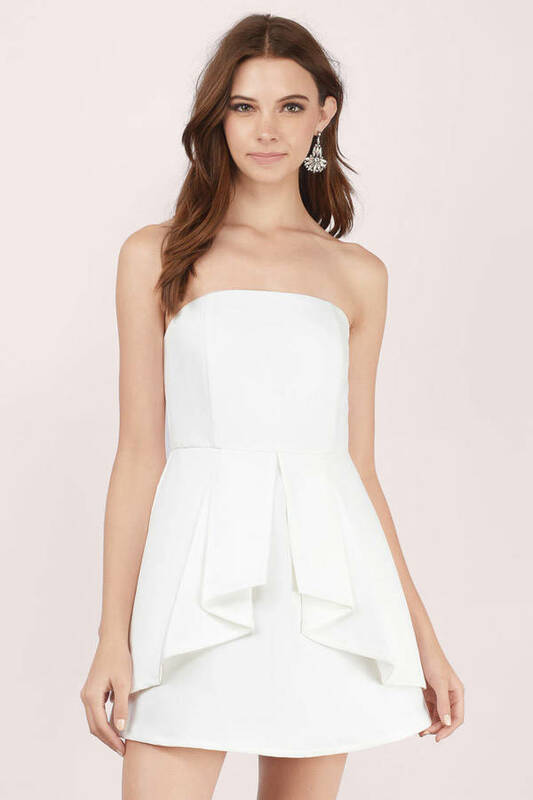 Strapless dress with a skater, flared skirt and peplum, pleated overlay. Wear with simple, pointed pumps. Black & Peach modeled on a size Small.